To remodel, rebuild, restore or repair in Minnesota or Wisconsin, count on Great Northern Builders (GNB), the experts. 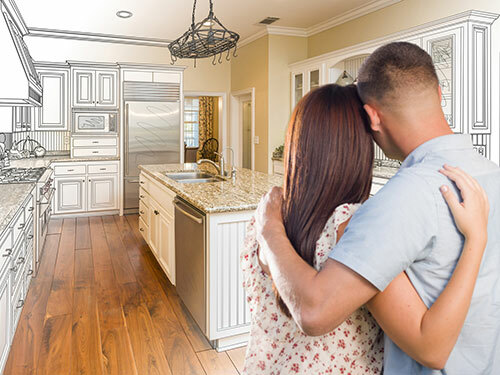 As experienced general contractors, the professionals at Great Northern Builders will work with you to maximize the potential of your property. When you call us about your commercial or residential project, we listen carefully to your needs and requirements. And we present a well thought out plan for meeting those requirements. Great Northern Builders is a local leader in residential and commercial construction throughout Minnesota and Wisconsin. As a licensed general contractor, we can help you with all of your projects with expert crews, unrivaled customer service, and quality workmanship. We can do everything from new residential or commercial construction projects from the ground up, to renovations including patios, decks, kitchens to building garages and additions. Great Northern Builders | Construction, Restoration, Remodels, MinnesotaGreat Northern Builders guarantees 100% satisfaction to our customers. We want your business — including the next job after the first one. And we want you to enthusiastically recommend us to other people seeking a general contractor for a remodeling, restoration or rebuilding project. That’s why we deliver quality service and quality work. You can count on GNB for cost-effective solutions and service designed to earn your trust. Review our services and tell us how we can help. We work throughout Minneapolis and St. Paul and the surrounding areas of Minnesota and Wisconsin. Our quotes are based on meeting your requirements and using appropriate materials and proven, reliable trade partner. We will lay out a detailed plan for your building or rebuilding job, giving accurate time and materials costs so that you will know what the job costs and when it will be complete. The job is not complete until we have explained the next steps in maintaining your business and home improvements. Our quotes are based on meeting your requirements and using materials and proven, reliable trade partner. Call us today at 651.455.9371 or contact us below for a free estimate on your next project!